Christmas means a slowing down of life in our house – we both have time off work (DH is on call for work but fingers crossed), the weather has finally got a cold snap, and all is well. I’ve been hoping to get a lot of reading done and a few jobs around the house. It’s too early to comment on the “jobs around the house” project, but I thought that I’d do a quick round-up of what I’ve been reading the last few days. These are good books, but as I’m on holiday, I’m probably not going to do an in-depth review as I sometimes do. So – read away! Anyway, a huge long saga (originally divided into two books) about a small settlement of Norwegian pioneers on the Dakota Territories in the 1880’s. (Interesting side note: This book is set in the same time period as the Dickens’ Christmas stories that I read the other day except with a rather different lifestyle!) 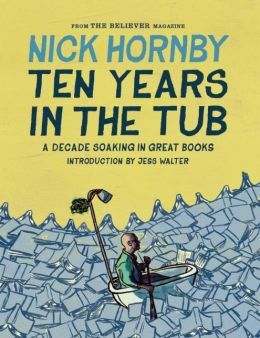 This was a saga indeed, and whilst reading it, felt like I was living day by day with the pioneers as the book went on and on and on in parts. This is a good book overall that describes how a few families, immigrants from Norway, all arrive to stake their claims in newly opening prairie. Not only are they reshaping the land – they are also reshaping every member of their families through the trials and tribulations of life without any support from outside forces. The immigrants had to build their own houses (starting with sod), and then till the soil for planting future crops, but all the tools that they had at the beginning were what they could carry on their covered wagon. It’s an incredible story if you think about it. I live in a city which probably started in a similar fashion around the same time in history, and I can only imagine how tough it would be for the pioneers who originally settled here. It’s a tough place at times with regard to weather and terrain, and the families who came here must have been made of steel to stay here and build up the community. 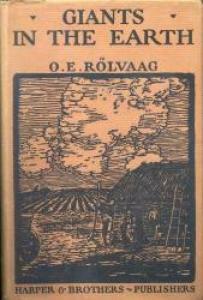 However, it wasn’t always easy and Rolvaag clearly details how hard it was for the wives of the newly arrived pioneer families. Nothing around them with a huge sky and nothing really to hide behind – the land and flora are so flat that you could almost see to forever – and it is this remote desolation that pushes some reluctant wives to the edge in this novel. Similar in some ways to Grapes of Wrath and its description of the Dust Bowl immigrants, this is more of a Naturalist narrative showing how puny humans are in the wilds of Nature and how normal life can turn into a “survival of the fittest” model with even the best intentions. You know, it also reminded me of Scarborough’s novel, The Wind, and even the short story, The Yellow Wallpaper, in some ways. These all seem to revolve around women who are powerless in one way or another, who have to uproot their lives unwillingly and who then struggle with life in the new environment. There was a Wodehouse in there somewhere (but not one of his best works, I would say, which makes it ok that I can’t remember the title! 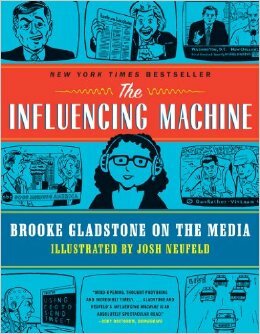 Oh, and I read a really interesting and rather serious graphic non-fiction by NPR’s Brooke Gladstone called The Influencing Machine. This is a graphic art book (or perhaps sequential art, if you prefer that term) that examines the dynamic relationship between media and its audiences. People argue that media (e.g. TV stations) only put out dreck, but Gladstone illustrates this with clear examples of how the audience influences the media – each is trapped in an infinite loop with each other. Media wants to please the audience (i.e. get more reach/numbers/money) and as the majority of media readers/watchers actually want celebrity talk and ongoing disastrous news stories, that’s what we get. And then I finally read Kevin Brockmeier’s The Brief History of the Dead (after a reccie from a reading friend.) I think this was a good read with two parallel story lines along the way. It wasn’t quite the read that I expected, but then I think that was user error on my part, not the book. Well written though – just not the right time for me, I think. So – that’s my recent reads. More to come, I’m sure! Happy reading!